1 in 3 people in the United States has high blood pressure yet 1 in 5 people don't know they have it. 1 in 6 adults has high cholesterol. Diabetes affects over 26 million people, with over 7 million people undiagnosed. 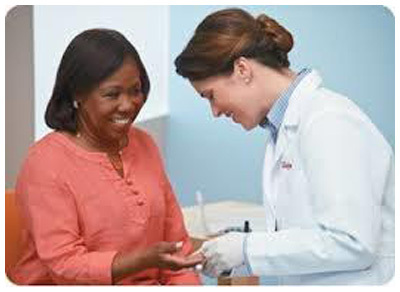 Many community pharmacies offer valuable health screenings that not only detect serious undiagnosed conditions, but influence patients to follow up with a physician to receive pharmacologic treatment. In addition, some pharmacies offer education and counseling that focuses on lifestyle modification to manage/prevent disease and foster health and wellness. A certificate of waiver is required to perform certain tests in a CLIA waived setting. To obtain a certificate of waiver, you should contact your state health department. Additional CLIA waived information is available at the Centers for Medicare and Medicaid website.